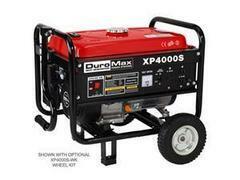 We rent gas generators with bounce houses only! We provide a full tank of gas upon delivery and it generally last upto 6 hours. Customer provides extra gas if needed.